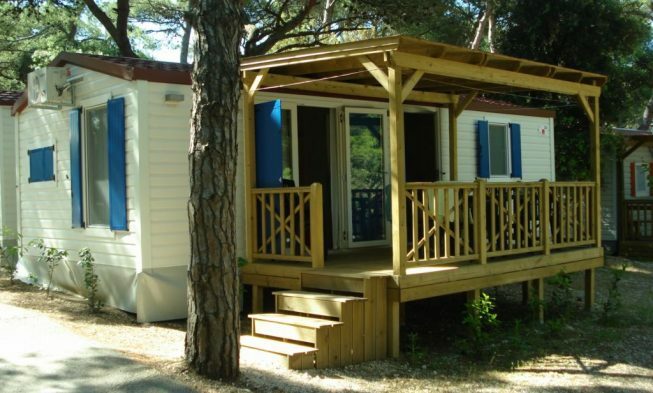 Here you can find a list of camping sites in Croatia offering Mobile homes for rent, majority of the Mobile homes have a capacity of up to 6 persons, more information about the individual campsites you can find under the link “book” botton. 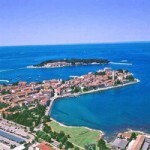 Mobile Homes Camping Park Umag, the campsite is situated a few km south of Umag, Camping Park Umag, is among the biggest and most luxury Campsites in Istria. The 25m2 Happy Camp Mobile homes, are for 4-6 persons. The Mobile home is divided into 2 sleeping rooms, bathroom with shower and a kitchen living room, the outside are has and approximate size of 9m2. 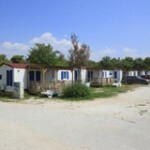 Mobile Homes Bijela Uvala Porec, the 45 ha large campsites Bijela Uvala is situated in Zelena Laguna 5 Km from Porec in Istria. With a capacity of about 6.000 people, Bijela Uvala is basically a village, which is also reflected in the facilities, campsite guest can basically find everything the need for the holiday inside the camping area. The 24m2 Mobile homes at Bijela Uvala, are divided into 2 sleeping rooms and a combined kitchen living room area. Mobile Homes Camping Lanterna Porec, in terms of large campsite it does not much large than Camping Lanterna, the campsites cover an area of about 80 ha, and can facilitate up to 9.000 people. Obviously the campsite has facilities to make the entire 9.000 guest happy. The 24m2 Mobile homes at Camping Lanterna, are divided into 2 sleeping rooms and a combined kitchen living room area and a bathroom. Mobile Homes at Camping Premantura in Medulin: the 24m2 Mobile homes at Camping Premantura offer space for up to 5 persons. The Mobile homes are divided into bathroom, 2 sleeping rooms and a combined kitchen living room area. The mobile homes are equipped with air-condition and Sat-TV. 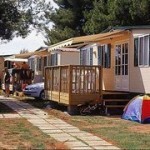 Mobile Homes at Camping Stupice in Medulin: the 25m2 Mobile homes at Camping Stupice offer space for up to 5 persons. The Mobile homes are divided into bathroom, 2 sleeping rooms and a combined kitchen living room area. The mobile homes are equipped with air-condition and Sat-TV outside there is afurnish terrace. 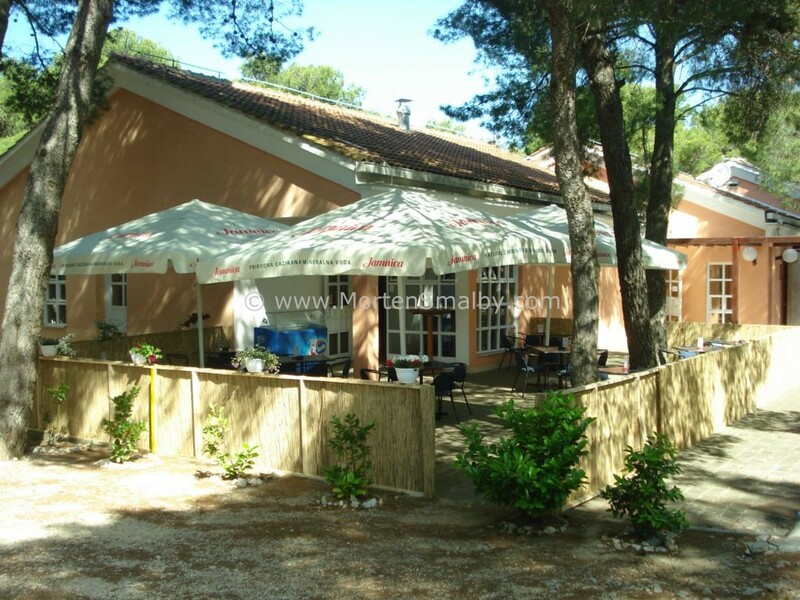 Mobile Homes Resort Maslinica – Camping Oliva Rabac, the 40 m2 large mobile homes offer space for up to 6 people (Smaller Mobile homes for 4 person are also available at this resort). The Mobile home has to sleeping rooms with double bed as well as a combined kitchen and living room area. 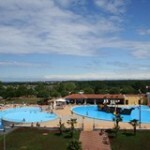 On the campsite there is large pool area, Minigolf and other sports facilities. 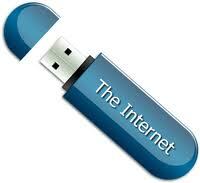 For more information about Campsite and booking of Mobile home click the button. Mobile homes at Camp Rapoca island Losinj: the 24m2 Mobile homes at Camping Rapoca in Nerezine offers space for up to 6 persons. The Mobile homes are divided into bathroom, 2 sleeping rooms and a combined kitchen living room area. 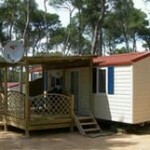 The mobile homes are equipped with air-condition and Sat-TV, the outside area is equipped with garden furniture. For more information and booking click the button. 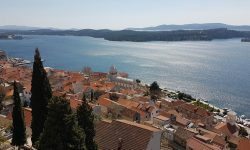 Mobile homes Solaris Sibenik, 32m2 large mobile homes for 6 persons situated in the holiday resort Solaris by Sibenik, the resort also include several hotels. The resort is excellent holiday destination for families with kids. The mobile homes has bathroom, kitchen living room area and 2 sleeping rooms, the outside area is equipped with furniture’s. For more information and booking click the following button. 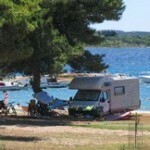 Mobile homes Camping Miran Sibenik: the 24m2 Mobile homes at Camping Miran in Sibenik offers space for up to 6 persons. The Mobile homes are divided into bathroom, a combined kitchen living room area and two sleeping rooms. The mobile home is equipped with air-condition and Sat-TV. The outside area is equipped with garden furniture, parking next to mobile home. 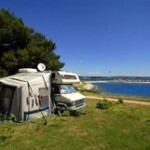 Mobile Homes Camping Soline Biograd na moru: 32m2 large mobile homes, combined kitchen living room, two bedrooms and Two bathrooms with shower. Outside there is terrace with camping furniture. For more information and booking click the button. 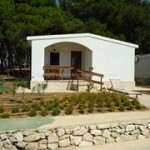 Mobile homes resort Borik Zadar: the resort Borik is situated by the Sea, app. 3 km from the centre of Zadar. At the resort 24m2 and 32m2 large mobile homes for up to 6 people can be rented. Mobile homes are divided into 2 sleeping rooms, 1 bathroom with shower and a combined living and kitchen room. The outside area includes terrace and furniture’s. For more information and booking click the button.